Personal Service Contracts are generally drawn for services, which are not available within the University or from other state agencies, and therefore, must be provided by an independent contractor. An independent contractor relationship exists when the employer does not exercise or have the right to exercise control or direction over the manner in which the services are performed. Personal Service Contracts are usually drawn for legal, audit, medical, auction, appraisal, consulting, and other miscellaneous services. The contract must contain a fixed fee or fee schedule and a specific description of what expenses, if any will be allowed. If projected costs are not firm, the contract may be established on a "NOT TO EXCEED" basis. Upon determination by the department that an outside contractor is necessary, the appropriate contract procedure is dictated by the amount of the negotiated expenditure. Personal Service Contracts shall be paid via Banner Requisition. 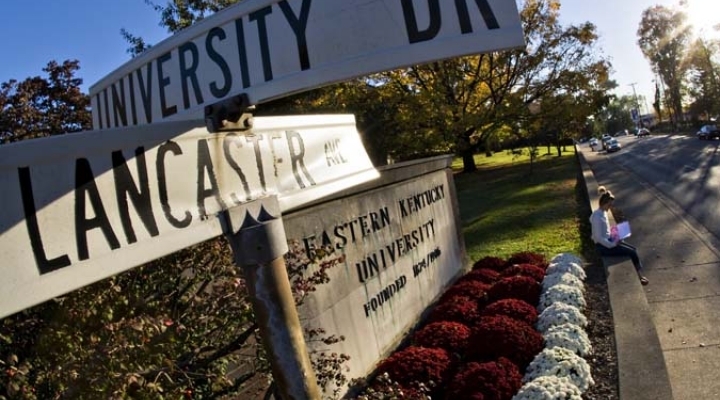 All Foreign Vendors (vendors located outside of Kentucky) must obtain a certificate of authority from the Secretary of State as is required by KRS.271B.15-010 and be registered with the Department of Revenue before performing any services for Eastern Kentucky University. PSCs will not be processed until registration compliance is verified. All invoices submitted by the contractor/vendor must be accompanied with a Government Contract Review Committee/ Legislative Research Commission PSC invoice form. Contracts for services between EKU and state agencies, other universities, or any other governmental body or political subdivision of the Commonwealth are processed as a MOA. A Proof of Necessity (PON) is also required. Payment for these agreements are processed via a Banner requisition.